Did you know that heavy-handed tactics by the Los Angeles Police Department against punk rock fans in the early 1980s was an inspiration for the creation of modern outdoor festivals like Burning Man, Lollapalooza, and Coachella? Me neither, until I discovered this wonderful missing link of a documentary. L.A. promoter (and doc director) Stuart Swezey was tired of being hassled after every punk show, so he and a few friends opted to create an event beyond the LAPD’s reach—that meant the Mojave Desert. Thus started Desolation Center, an anarchist fantasy of DIY showcases in remote locations featuring loud noises from the likes of Sonic Youth, Minutemen, Redd Kross, Meat Puppets, Einstürzende Neubauten, Swans, and Survival Research Labs (the latter basically being dudes who enjoy blowing up stuff and transforming that into art). 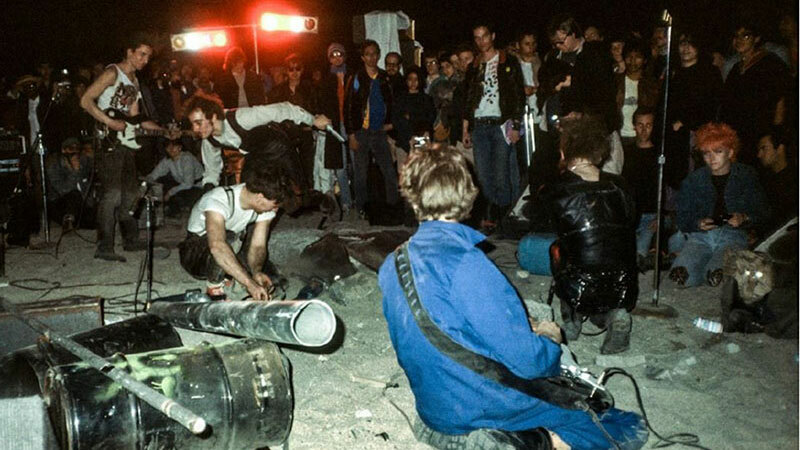 Desolation Center produced a handful of legendary shows that radically redefined what was possible at the intersection of punk rock and industrial performance art. A decade later, DC volunteers and fans were founding some of the most important modern music and art festivals. Packed with excellent interviews and rare performance footage, the (previously) untold story of Desolation Center is a fascinating glimpse at an influential underground culture that might otherwise have vanished into the haze of unreliable memory. Essential viewing!